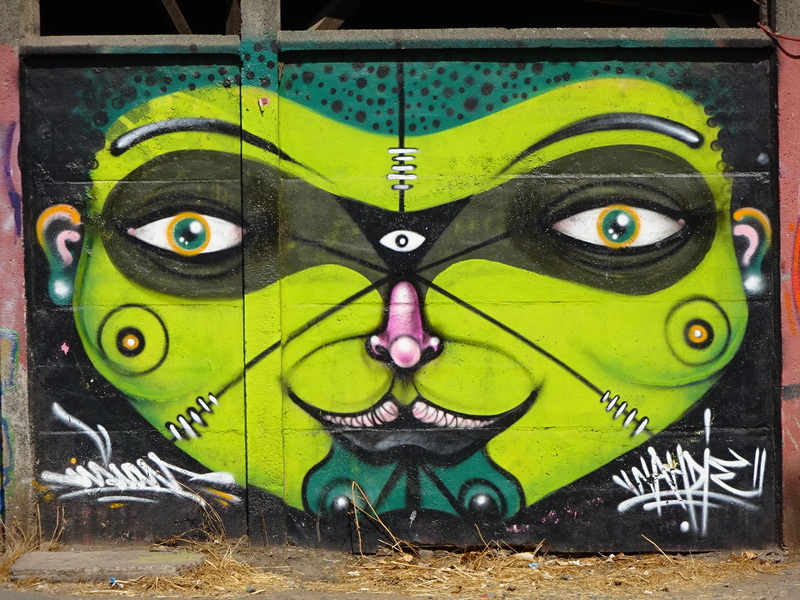 Amazing Graffiti is EVERYWHERE in Santiago! Posted on April 13, 2015 by No Map Required Posted in Art, Art & Engineering, Chile, Places	. 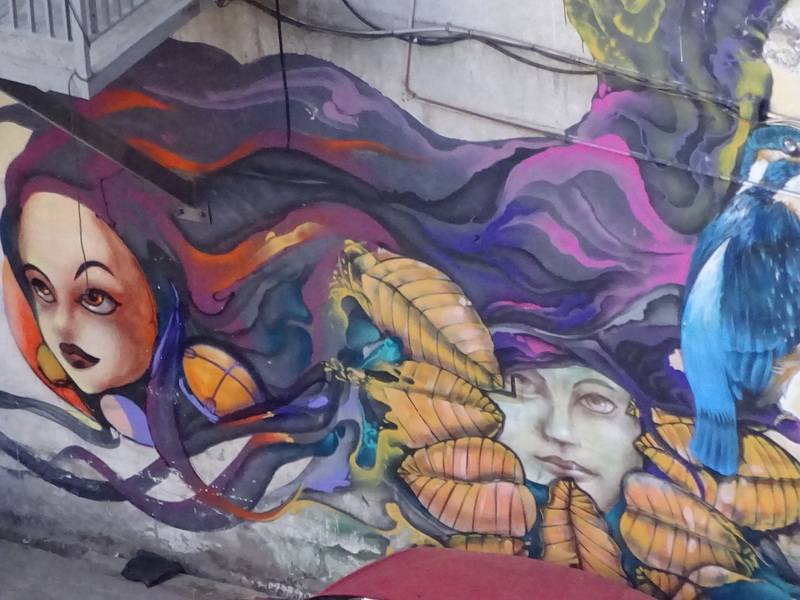 Following up on my posts of the street art in Cuenca and Panama City, I present some of the absolutely incredible paintings that can be found on pretty much every wall in Santiago! This fellow sadly seems to be missing his kite. He’s 2 stories tall, by the way! Who doesn’t like a monkey? 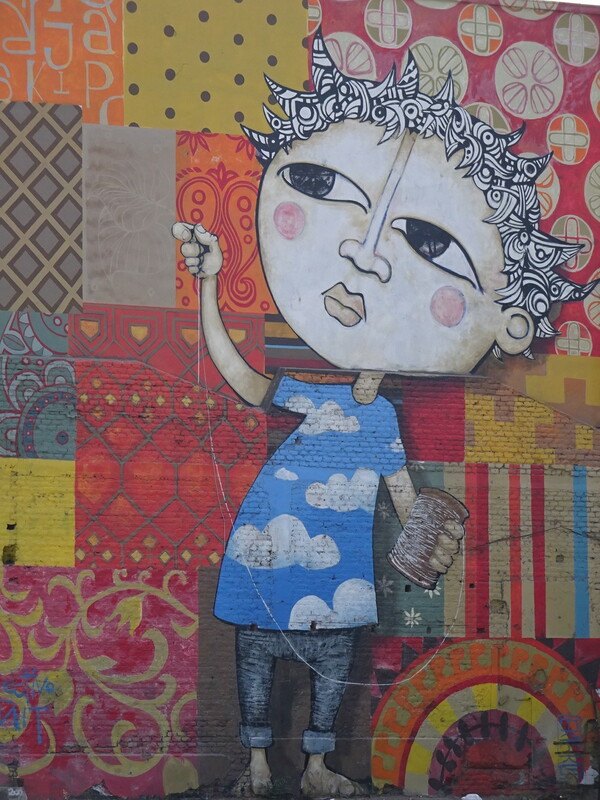 And I just can’t resist throwing in a few other pieces from around Chile. 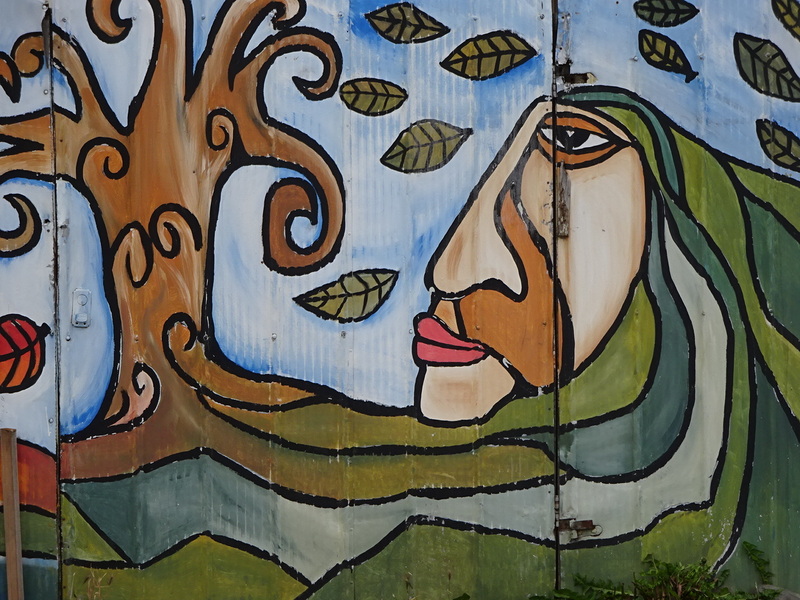 Can’t you just feel the wind flowing in this windy, Puerto Natales painting? 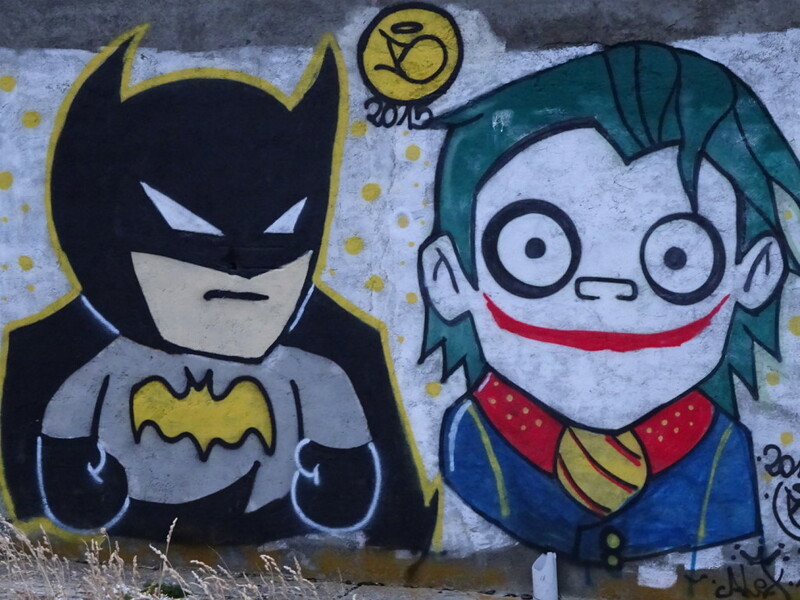 I hadn’t realized Batman and the Joker made it this far south, but superheroes and villains are everywhere! Seeing all the creative designs here in Latin America makes me want to search out more when we return to the US. 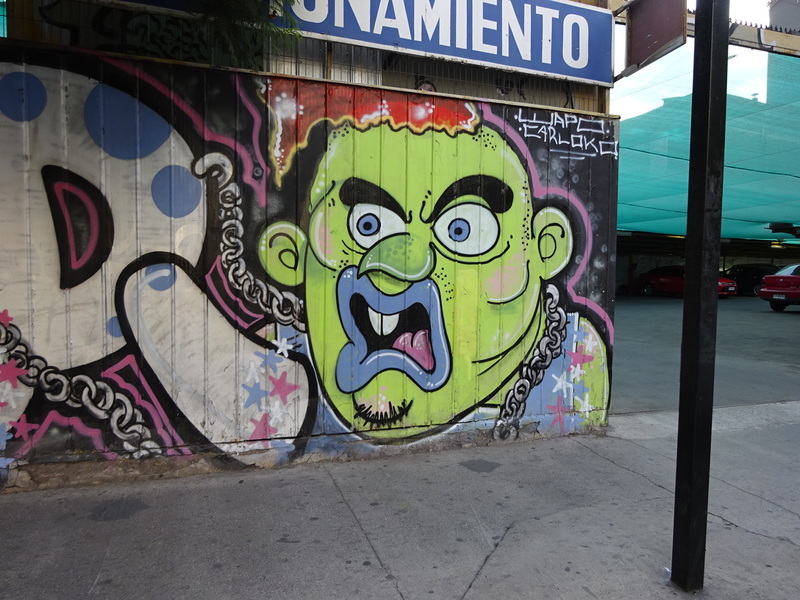 There have to be American artists doing more than just tagging, right? 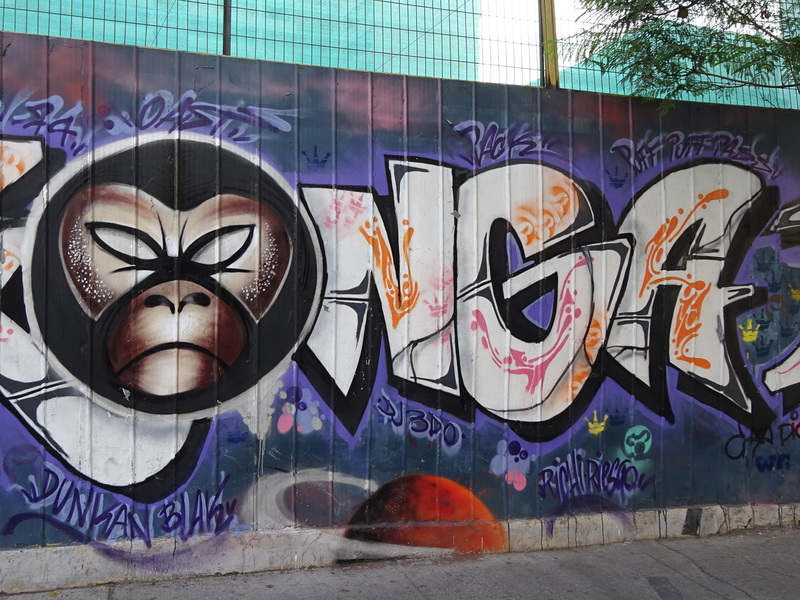 The Santiago graffiti is wonderful. And 2 stories high? Wow! Too bad the U.S. graffiti folks can’t be this creative. Agreed! To give them their due, though, I’m guessing most of the graffiti like these in Santiago is sanctioned while the “artists” in the US are usually rushing in the dead of night and hoping not to get caught by police. 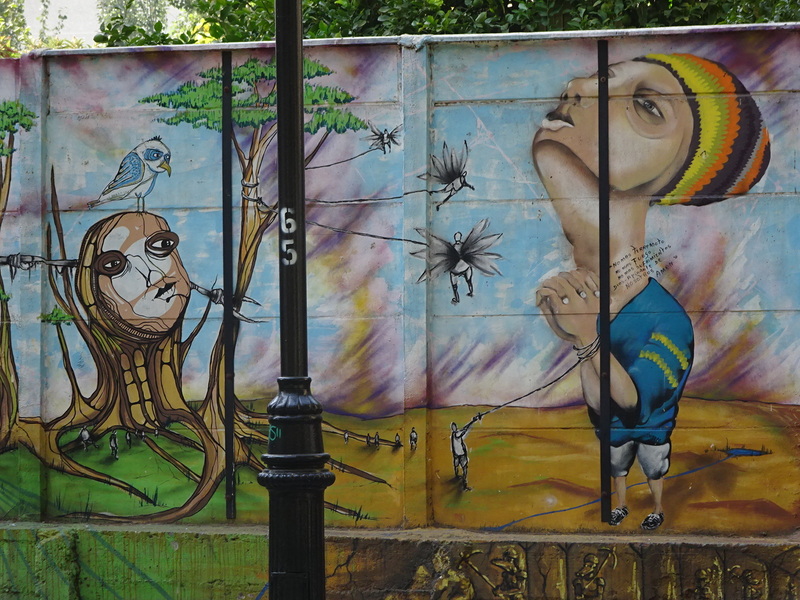 Makes me want to have a set of walls where I could commission artists to more something beautiful!